Historic Guadalupe District of Santa Fe. This neighborhood collaborative supports our community in sharing stories, reviving history, and reconnecting with each other. We support opportunities to meet, talk, and share...and to get to know each other AND the place where we live. Collective efforts include website resource development, community events and information sharing, as well as a series of neighborhood activities and learning opportunities featuring stories, history, conversation, sharing, arts, music, walks, and place-based activities for neighbors and families to gather and learn and share more about the people, places, and history of "where we live." The Historic Guadalupe District was originally part of the original Barrio Analco and is one of the oldest neighborhoods in Santa Fe. Nestled along the bank of the Santa Fe River and surrounding the Santuario de Guadalupe at the end of the old Camino Real, the "Royal Road" that connected Mexico City with the North, the adobe-lined streets of the Historic Guadalupe District are rich in history, art, and stories. Fall -Sundays 12-6pm -Local businesses are coming together to improve traffic and local business along Guadalupe Street. ​We are working collectively to restore the murals in Louis Montãno Community Park, between Alto Street and the Santa Fe River, with the original artist, Carlos Cervantes, Come meet the artist, help paint, learn about our historic neighborhood, and celebrate where we live. Tax-deductible donations to purchase paint and supplies and provide a stipend for the original muralist can also be made below throughout he local, educational nonprofit. 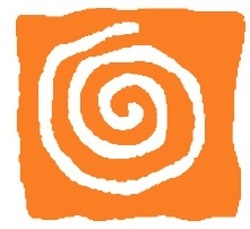 Community Learning Network, based in the Historic Guadalupe District.